Charming to those of refined taste. 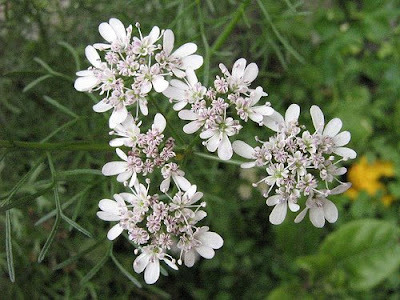 Tiny white flowers with four narrow petals that emerge from one side of the centre; borne in compound umbels. An annual culinary herb with highly aromatic, finely cut bright green leaves.